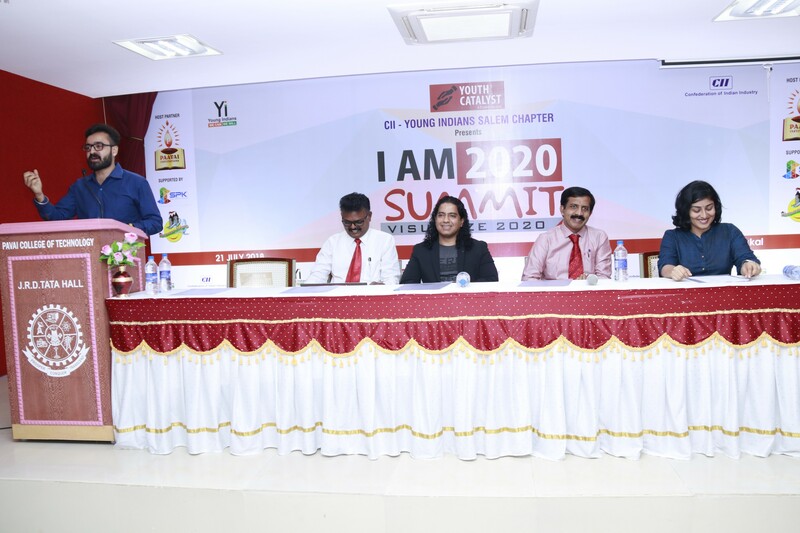 CII-Youth Indians Salem Chapter and EDC, Paavai Institutions, jointly organized a one day workshop on “I AM 2020 Summit”. 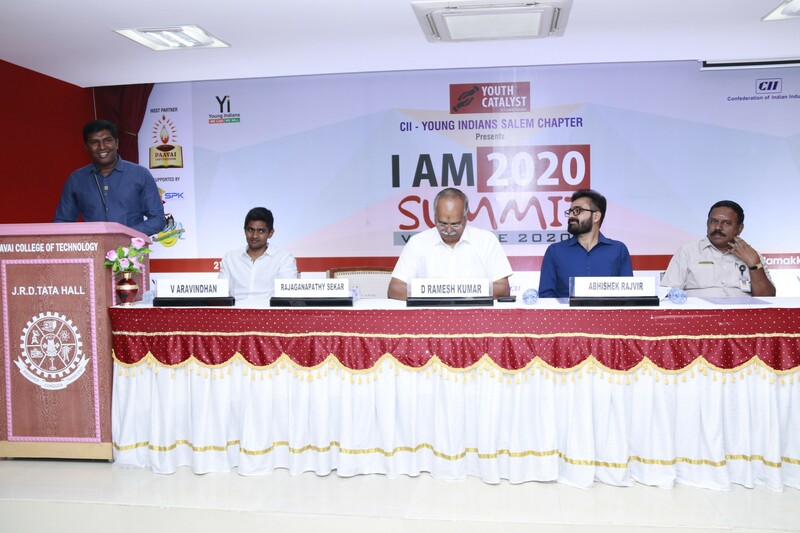 Mr.D.Ramesh Kumar, Chair Person of Yi presided over the function. 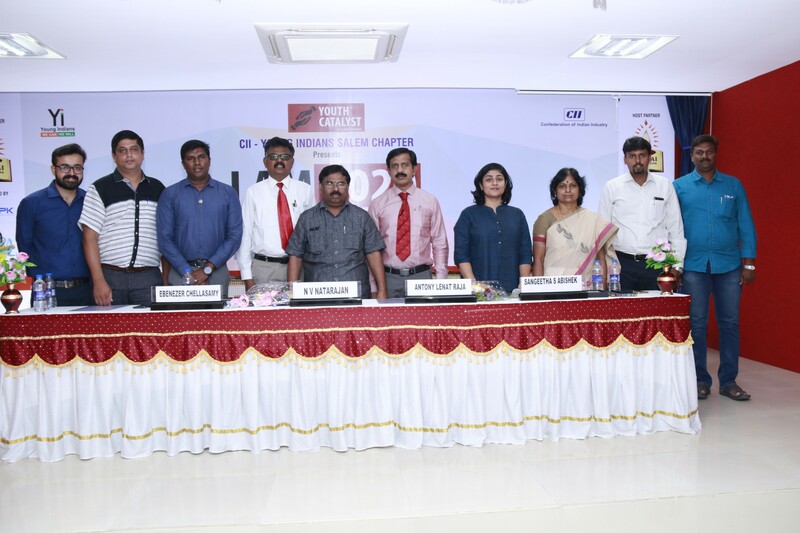 Shri.C.V.Natarajan, the Chairman of Paavai Institutions and Smt.Mangai Natarajan, Correspondent, graced the occasion. 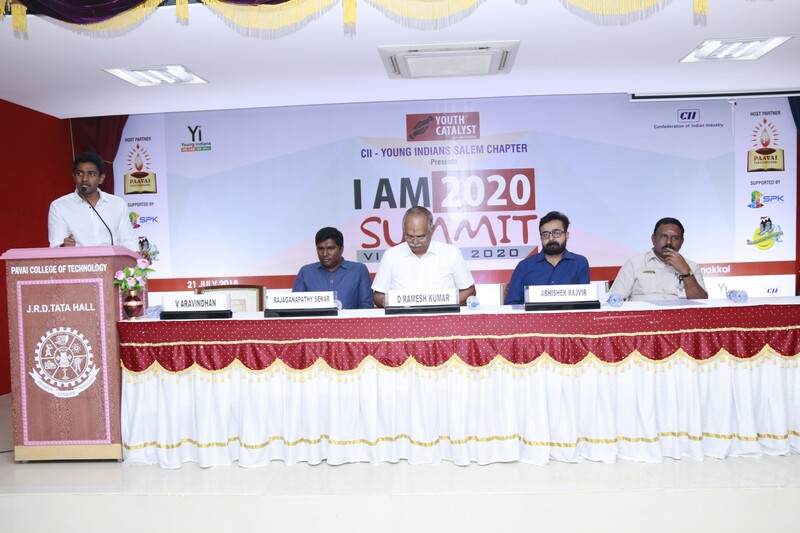 The guest speakers are Mr.Vijay Kapoor, Managing Director, Derby Jeans Community, Dr.Ebenezer Chellasamy, Scientist, Indian Institute of Astrophysics, Mr.Antony Lenat Raja, Senior Solution Architech, L&T Technology Services and Prof.Sangeetha S Abishek, Founder, Sodme Digital. The main objective of this workshop was to promote Nation Building and to enhance entrepreneurship skills among the youth of the nation. 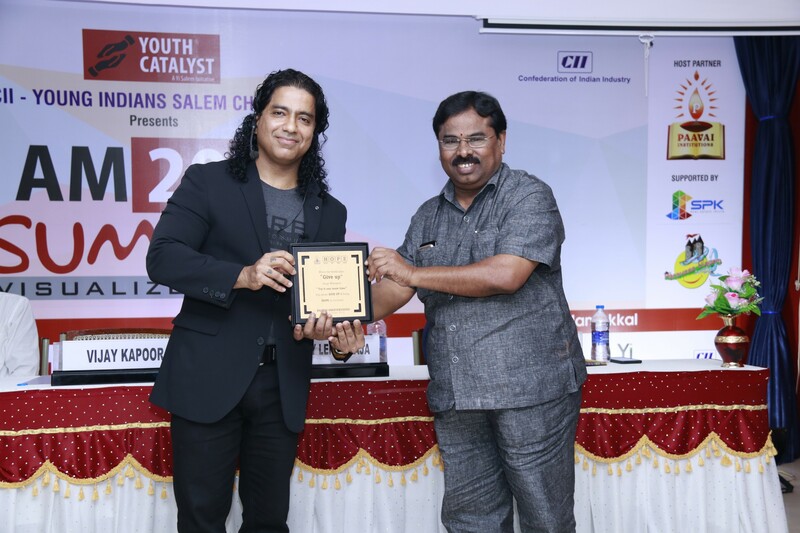 Mr.D.Ramesh Kumar, Chair Person of Yi, felicitated the gathering. He pointed out that our Indian economy depends on innovative ideas of our younger generation. So, students should analyze their responsibilities and spend their energy in a positive manner to lead our country. Moreover, they should utilize the technology efficiently to cater to the needs of the society. 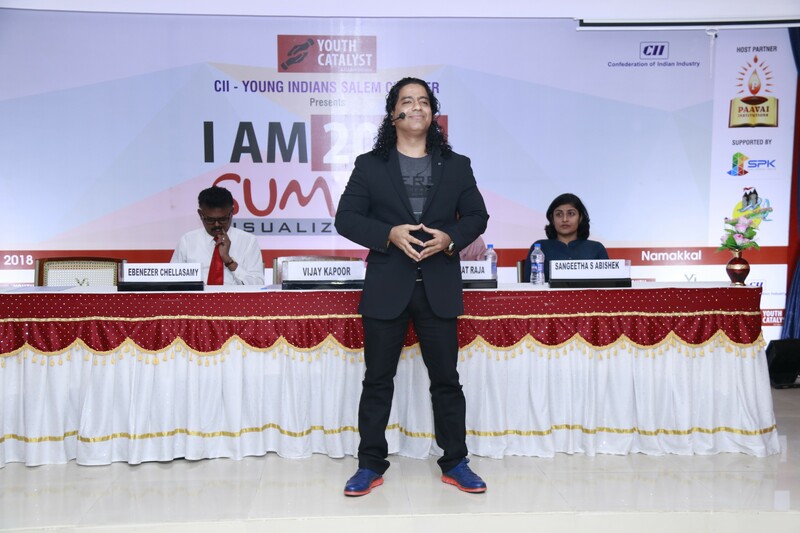 Next, Mr.Vijay Kapoor, Managing Director, Derby Jeans Community, insisted the students on “Self Belief” to follow the philosophy “My life is my responsibility”. He also added that each one is responsible for their choices and consequences in their life. 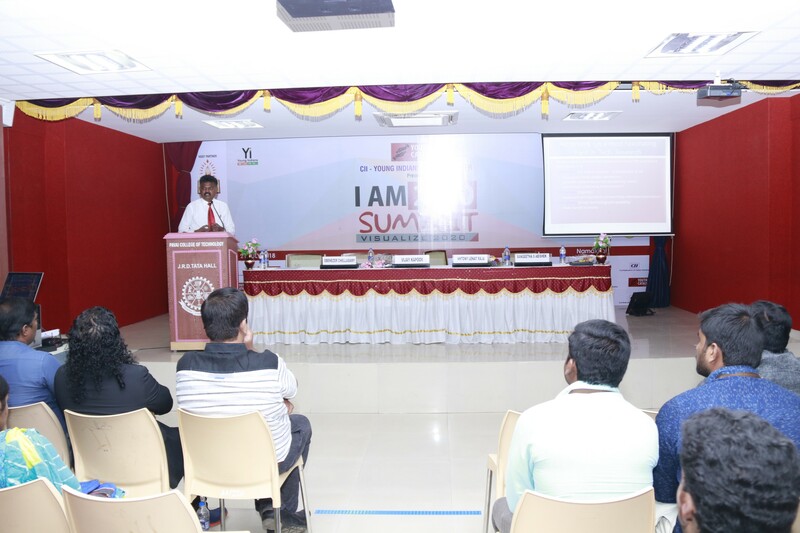 Dr.Ebenezer Chellasamy, Scientist, Indian Institute of Astrophysics, described the wonders of the world and explained the opportunities for engineering graduates in the field of Astronomy. 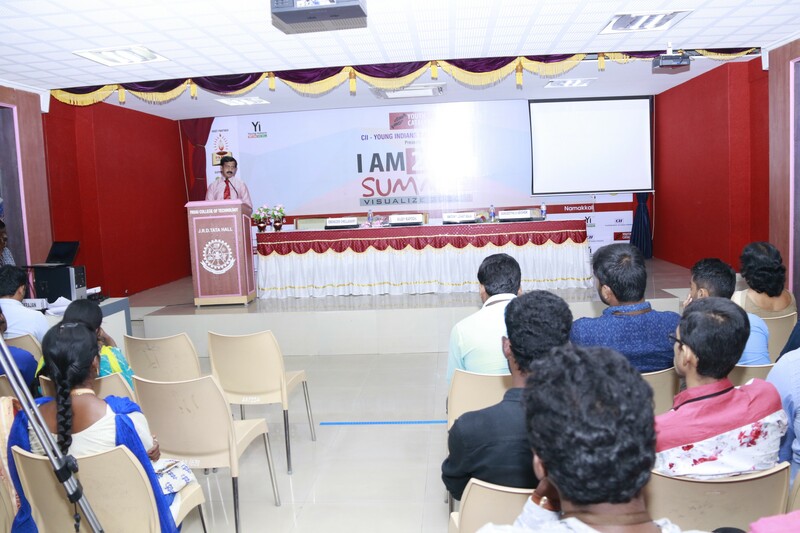 It was followed by Mr.Antony Lenat Raja, Senior Solution Architech, L&T Technology Services, who gave a brief introduction about Semiconductor VLSI Technology and job opportunities in that field for engineers. 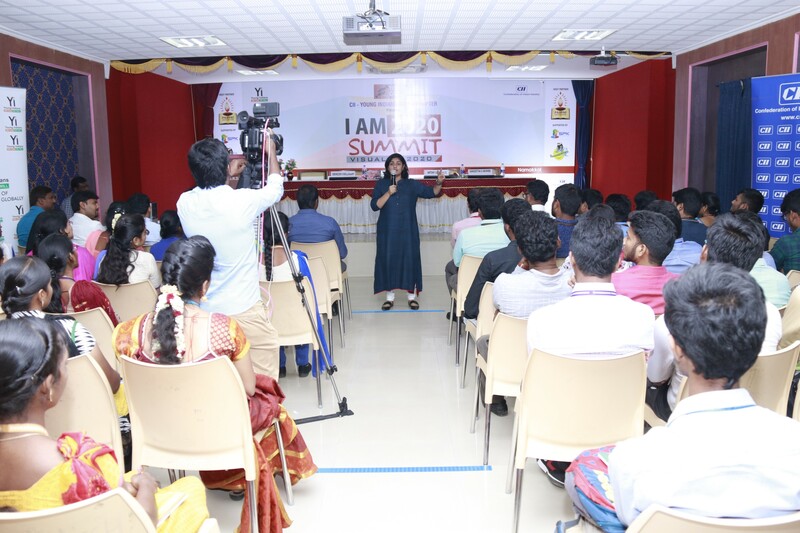 Prof.Sangeetha S Abishek, Founder, Sodme Digital, pinpointed on the essentials of Digital Multimedia and insisted that students should efficiently use the technology rather than using it for social media. 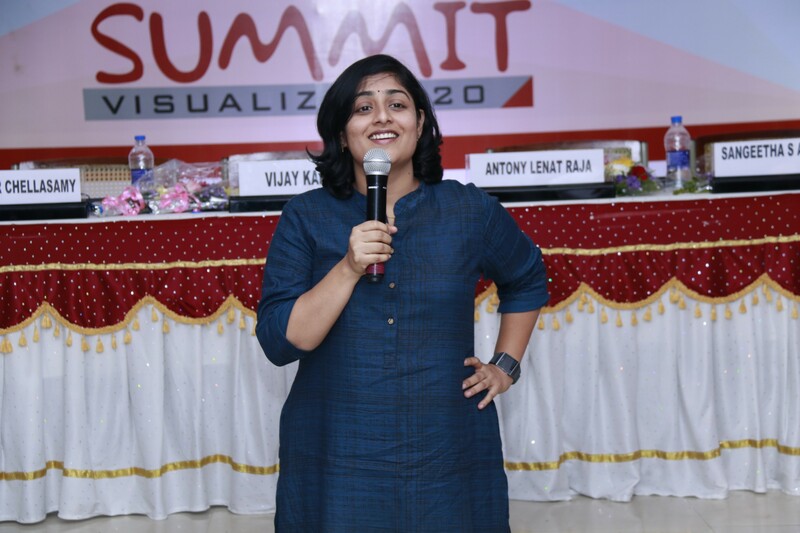 At last, all the guest speakers answered the queries of our students. The session ended with the Vote of Thanks. 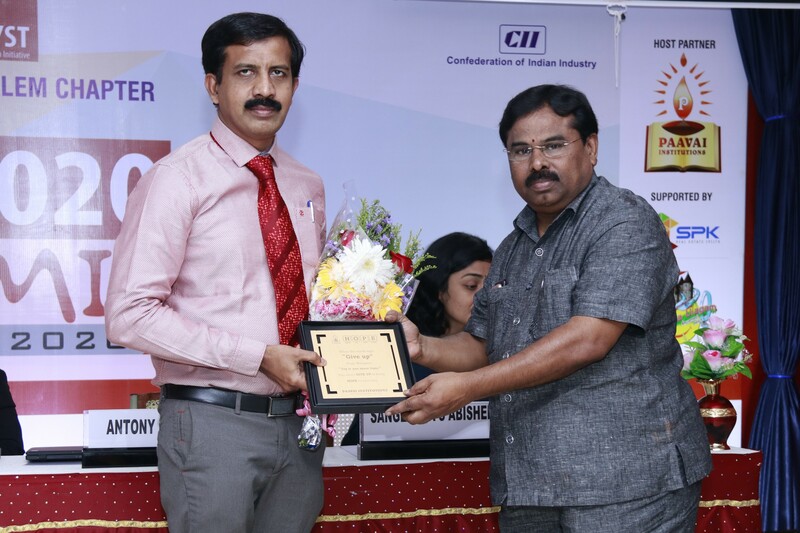 The Chairman, Paavai Institutions, greeted the guest speakers with bouquets and mementos. 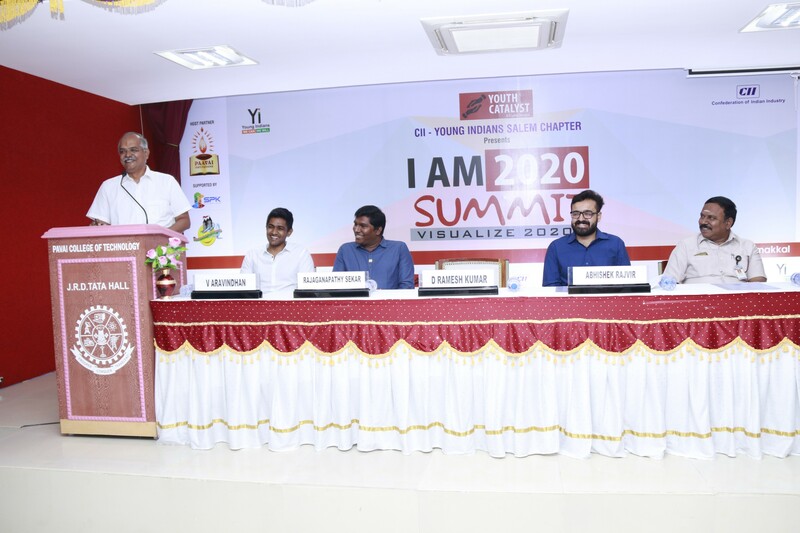 Dr.K.K.Ramasamy, Director Administration, Paavai Institutions, Dr.M.Prem Kumar, Principal, Dr.K.Selvi, Dean Academics, staff members and students from various colleges were also present.